Why get involved with CityHack16? If you have an idea to make Greater Brisbane a better place to live – a more economically robust community with world-class education and technology hubs, a beautiful and inspiring landscape with eclectic cultural and tourism attractions, a city that is safe, easy to traverse and eco-friendly. CityHack16 offers you access to like-minded individuals to collaborate with. Over three days from 25-27 November, you and your team will have the opportunity to bring your idea to life with the help of some of our most passionate and accomplished city-shaping minds. CityHack16 will bring together Brisbane’s most creative and innovative thinkers to cultivate solutions to some of our city’s most pressing challenges. Interested? Register Your Interest Now. CityHack16 is not just for coders! 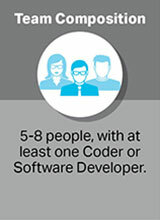 Registered teams must contain at least one Software Developer/Coder, but anyone with a technical skillset is welcome to apply – Engineers, Architects, Designers, Students, Business People, Marketers, Urban Planners, Entrepreneurs, in fact, anyone with passion and a great idea is welcome! At the end of the weekend, you will pitch your idea to a panel of judges to have the opportunity to win a stack of cool prizes! First Prize is $10,000… plus the opportunity to get advice and mentoring from local suppliers and organisations to develop your idea into a marketable product! Other stand-out teams will be rewarded with a combination of cool techy prizes such as drones, Echo Dots and GoPros! 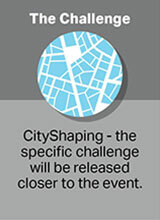 The Challenge – The specific challenge will be released a week prior to the event and will be related to South-East-Queensland City-Shaping. 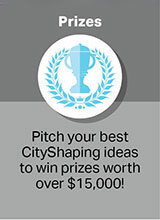 Prizes – Pitch your best CityShaping ideas to win prizes worth over $15,000! 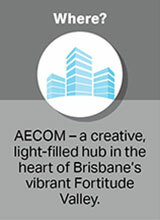 Where – AECOM – a creative, light-filled hub in the heart of the vibrant Fortitude Valley.